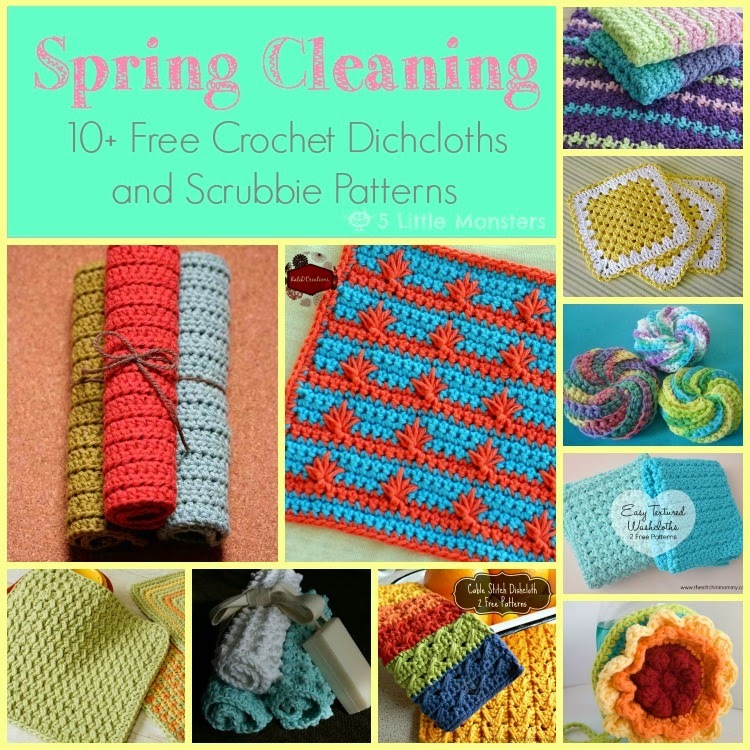 In the next week or two I am planning on sharing some of my favorite dishcloth patterns but in the meantime here are some other free patterns that I found online. 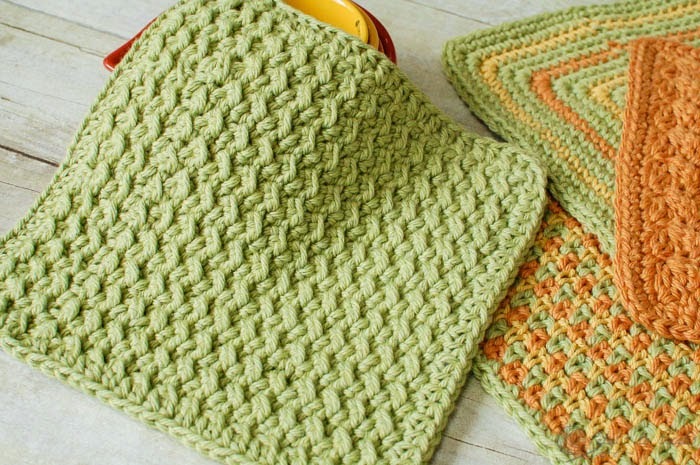 This pattern from Design Sponge is a basic half double crochet dishcloth. If you are looking for a really basic pattern this is a great one to try. First up we have this pattern from Felted Button. 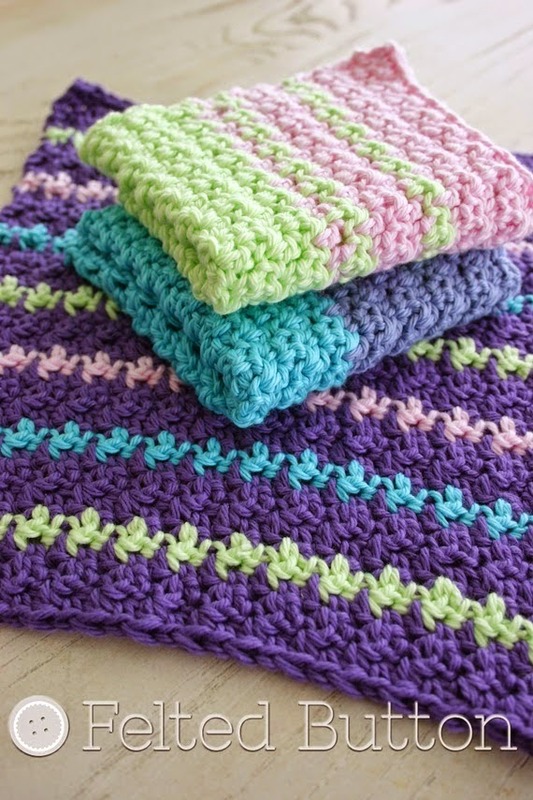 I really like my dishcloths to have a lot of texture to make them nice and scrubby. This one looks like it has nice texture and the colors and design are fun too. This pattern from Look What I Made has two different variations using the same stitch. 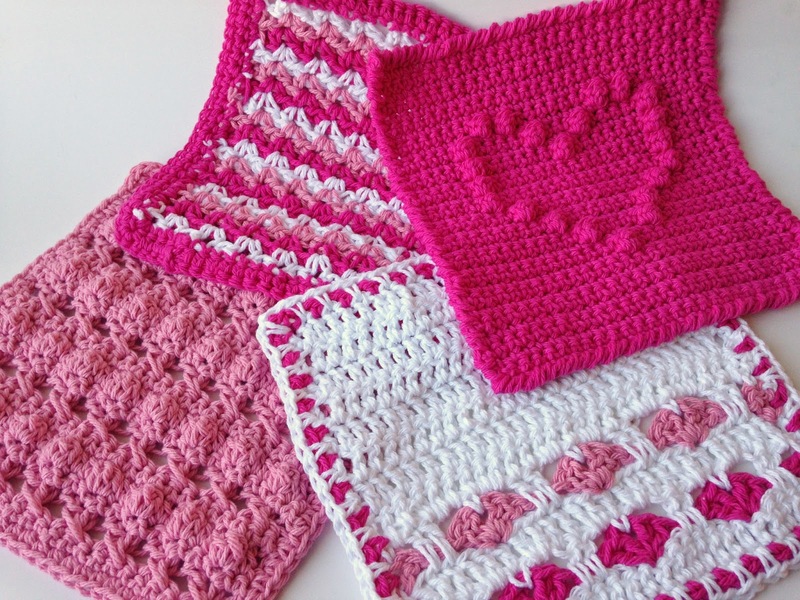 Make a simple granny square into a pretty dishcloth. 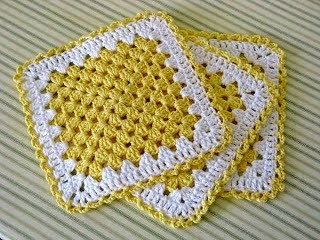 I liked the border on this one, it gives a pretty, feminine touch to a granny square. 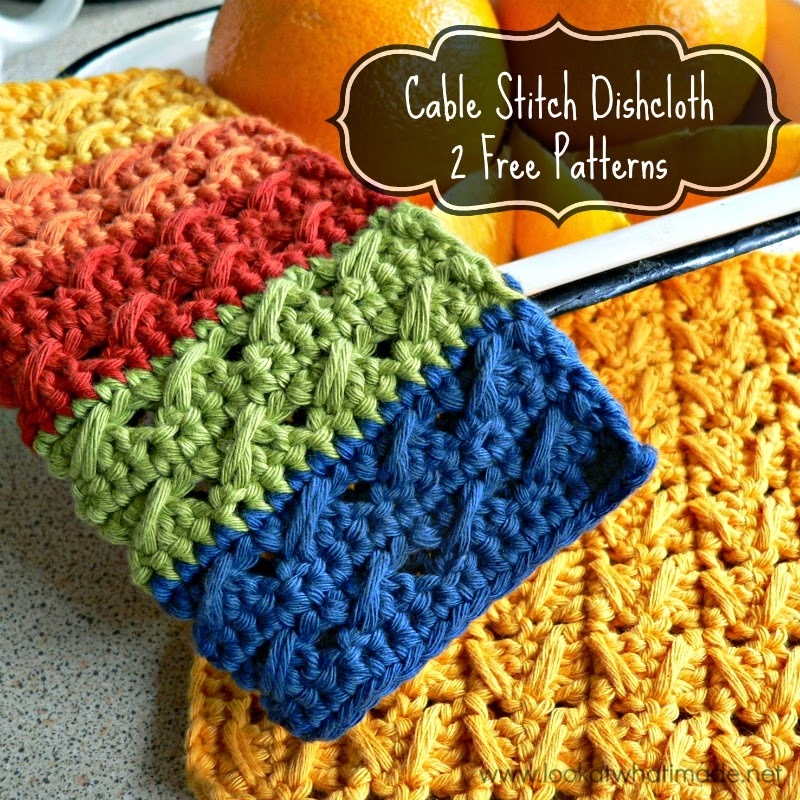 If you are looking for a dishcloth with a ton of texture this one from Simple Sweet Yarns would be a great one to try. 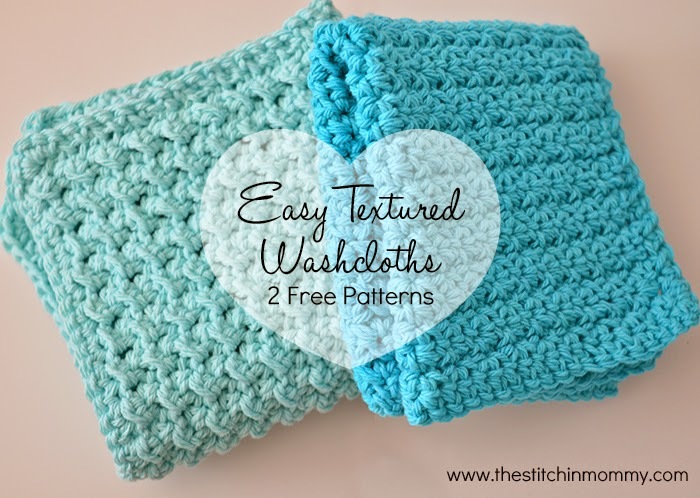 The Stitchin Mommy shared these two textured washcloth patterns as part of a spa day series. One uses the grit stitch and the other uses the moss stitch. I really like the look of the moss stitch version. 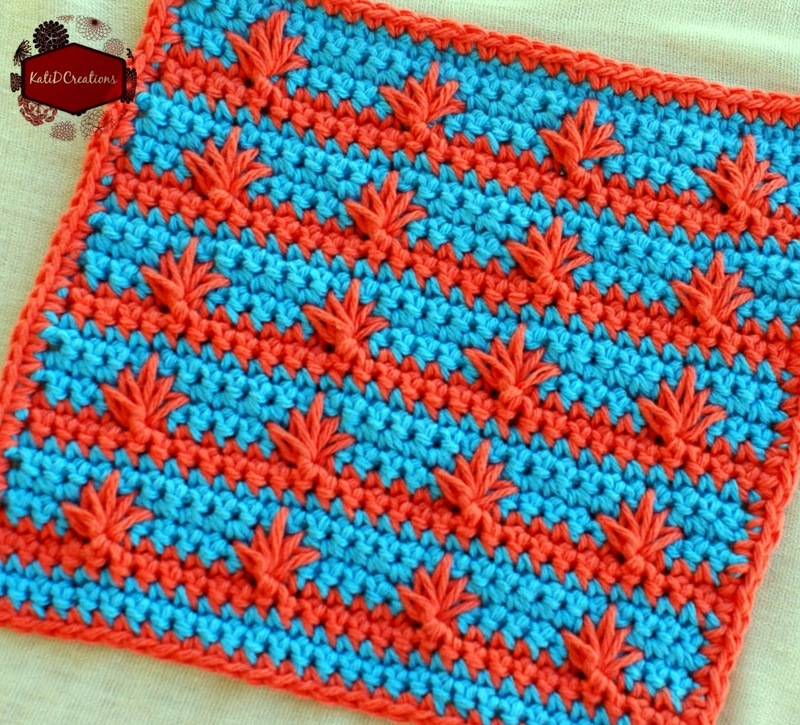 This dishcloth from KatieDCreations uses a very interesting stitch. I think this one would be a fun one to try and a way to try out a new stitch. This is a nice textured pattern from Petal's to Picot's. 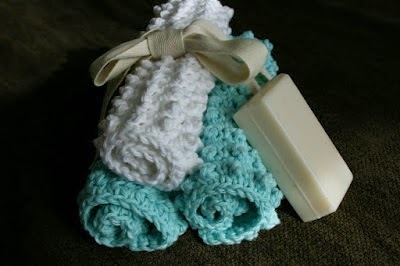 The post includes links to the other three dishcloths shown in the picture. 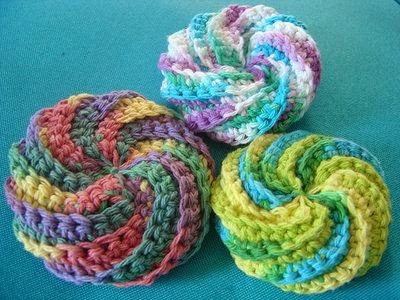 These little scrubbies have always looked interesting to me but I have never tried one. Maybe I will have to finally get around to doing it soon. I thought this pattern from Moogly looked like a fun little scrubby pattern. On Pinterest I saw the suggestion to make the center section out of tulle to make it extra scrubby. I thought that sounded like a great idea. I hope you enjoyed this little roundup and maybe found some new patterns to try out. 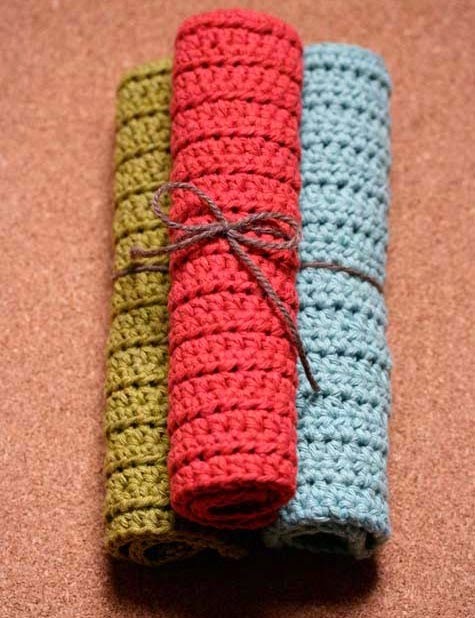 Dishcloths are such quick, easy thing to make and they can be so useful around the house. And they are a great way to try out some new stitches and techniques. 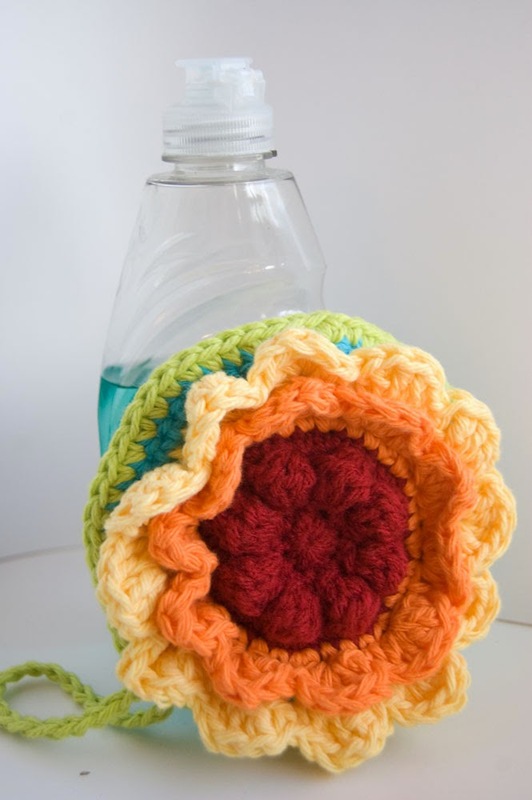 Thank you so much for all your dish cloth patterns!! I have been looking all week and finally found all of your great patterns!! So much variety to choose from. I can tell I will need more cotton yarn and be busy through lots of chilly weather now. Thank you so much!! !